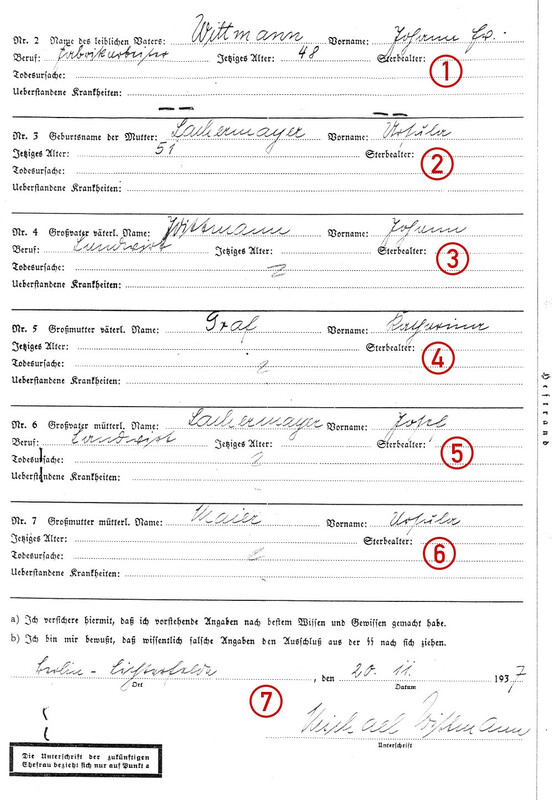 This is the two-page ancestral questionnaire (Fragebogen) issued by the SS Race and Settlement Main Office (Rasse- und Siedlungshauptamt der SS, RuSHA) which had to be filled in by all members of the SS including, where applicable, their partners or wives. 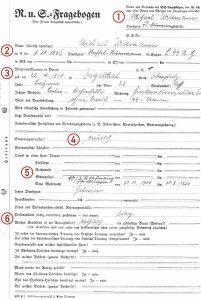 In this example, Michael Wittmann has filled out his details in ink with the document signed and dated on 20th November 1937. 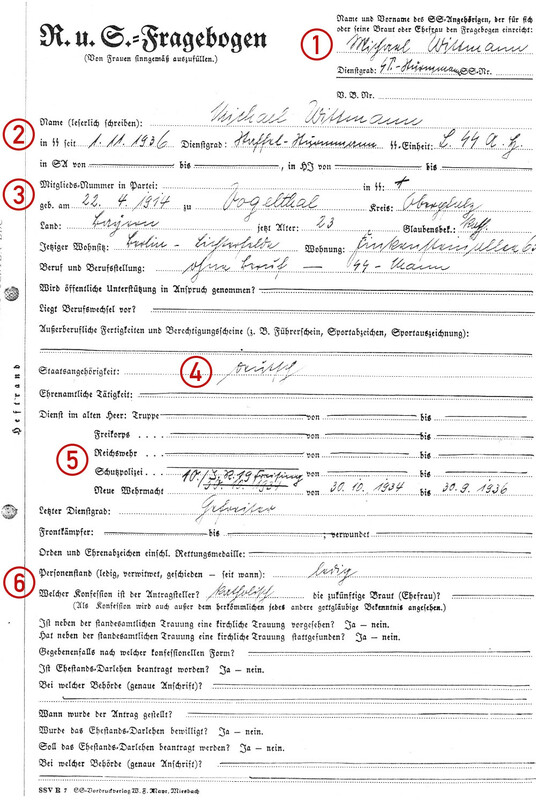 In line with Himmler’s marriage order of 1931, one of these questionnaires would also have been completed by his future wife Hildegard Burmester when they were married in the early summer of 1944. Translation notes: Question titles are in bold, and all of the sections complete by Wittmann are in italics. The document has been divided into numbered sections for the translation. In the SS since: 1.11.1936. Service Grade (Rank): Staffel-Sturmmann. SS Branch: L.SS. A.H. The second page of the questionnaire asks for the applicants family details, going back two generations. 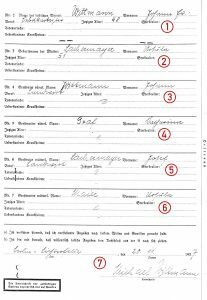 Note that the checking does not appear to have been particular thorough in Wittmann’s case, as most of the details about his grandparents have been left blank. Given the working culture at the time and in Nazi Germany in particular, there is no “occupation” section for female family members. Nr. 2 Name of Birth Father: Wittmann First name: Johann Jr.